Prior to 2017 it had been years since boxing fans were treated to a genuine heavyweight classic. The last really memorable heavyweight bout before this year took place in 2003, when Vitali Klitschko was stopped on cuts by Lennox Lewis after six bloody rounds of back-and-forth brutality. To remember when great heavyweight fights were common, you would need to be old enough to remember the 1990s, the last great era for the heavyweight division. Fights like Holyfield-Bowe I and II, Holyfield-Tyson I, Lewis-Mercer and Tua-Ibeabuchi all demonstrated that nothing can showcase physical courage, mental toughness and pulse-raising excitement the way that a classic heavyweight prizefight does. Alas, the younger fans knew this only as a second-hand legend passed down by older boxing heads. The era dominated by the Klitschkos has been largely without thrills. When Wladimir Klitschko lost his World Title to Tyson Fury in November 2015, he turned in perhaps the least inspired performance in division history. 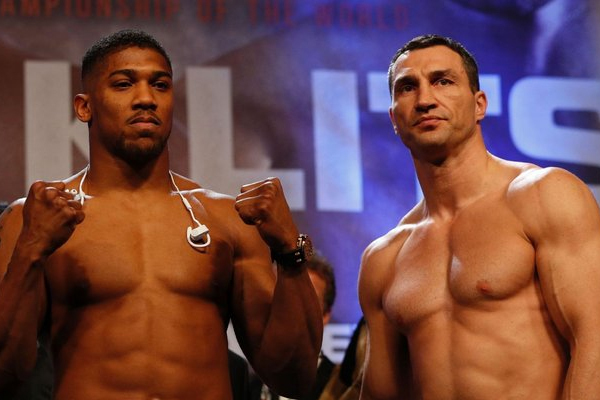 Last April Klitschko returned to action against Anthony Joshua, the hottest young star in the weight class. After a career largely characterized by boring fights, the Ukrainian veteran teamed up with the British upstart to remind fans what a great heavyweight bout looks like. In Round 5, Joshua put Klitschko on the canvas. But the Ukrainian beat the count and by the end of the round, Joshua had made the inexperienced mistake of punching himself out, leaving Klitschko suddenly in control of the fight. It was Joshua who went tumbling to the canvas in Round 6. The situation looked desperate for him, but he rallied heroically and the fight turned into a back-and-forth battle down the stretch. In the penultimate round, Joshua took firm control, dropping Klitschko twice and forcing a stop to the action. The loss might have done as much for Klitschko’s career as any of his 64 victories. The knock on him over the years has been that he is a great technical boxer who lacks a fighter’s heart. But at age 41, against a rising star, he proved that he has heart in abundance. For Joshua, this was a signature, career-making fight. Heavyweight boxing fans are anxious to see what he has in store for us in 2018.